France is the home of many of our favorite Christmas carols and probably of the whole idea of Christmas carols, so a study of Christmas in France is nice for music class. 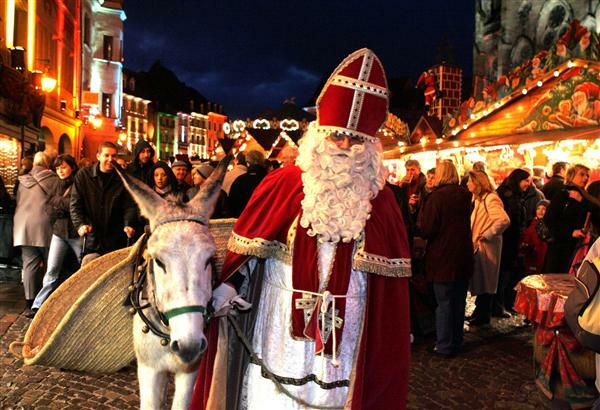 The season for celebration lasts from the feast of St. Nicholas on December 6th to the Feast of the Epiphany on January 6th, and there are special foods in every region. 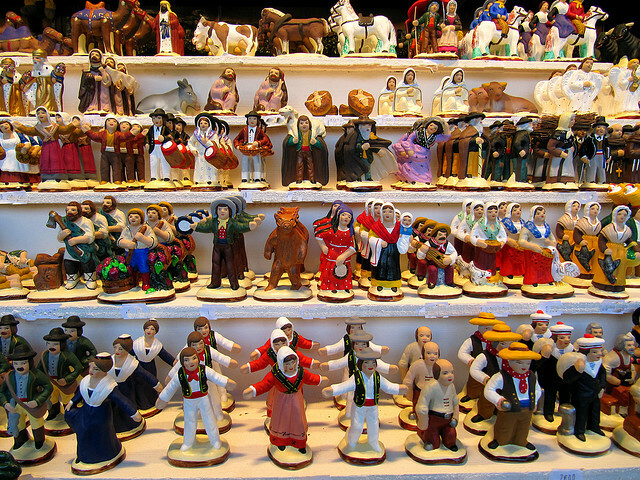 One of the most characteristic customs in Southern France is the making of santons, figures of townspeople who gather around a creche. The creche, which probably originated in Italy, is a group of figures of Jesus, Mary, and Joseph from the Christmas story in the Bible. Often there are also animals, shepherds, the Three Kings who brought Jesus gifts, and perhaps some angels. In the United States, this may be called a Nativity Set, and is usually a part of religious celebrations of the holiday. In France, everyone gets into the story. The santons depict every role in village life and the creche may be so surrounded with santons that the family at the center is just a small part of the display. Even if a creche would be inappropriate at your school, you can still get into the spirit of a French Christmas by making santons from Model Magic. Model Magic is very light, so you can hang the figures from your classroom Christmas tree if you have one, or put them in your gingerbread village. Review your Community Helpers lessons as you make them. Children in France traditionally put out their sabots, wooden shoes, for gifts from le Pere Noel (Father Christmas) on St. Nicholas day and put out hay for the camels on Three Kings Day. Babar and Father Christmas is a nice book to read aloud. The high point of the Christmas celebration is the Reveillon, a very late meal on Christmas Eve. The specific dishes eaten at the Reveillon vary from one region of France to another. 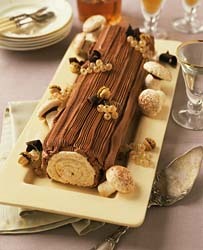 One popular dish for Christmas all over France is the buche de noel, a cake made in the shape of a tree branch which recalls the traditional Yule log. Often there are mushrooms made of meringue. We like cooking in the classroom, for the sake of math, following directions, and general life skills. However, we think this is too complex a recipe to try in the average classroom. Epicurious has an idea for using store bought Swiss roll snack cakes for this, and you might like to try that. We’re including their video, but it may not be classroom appropriate.